When it comes to measuring temperature levels, it is safer to use devices that do not require contact when probing. That said, picking the best infrared thermometer is significant and the right decision to make. These products give more accurate results and fast enough that data is given in a fraction of a second and can be used in industrial and commercial applications. This type of thermometer is used in places where temperature levels need to be checked, such as in airports, schools and health care facilities. This compact and reliable infrared thermometer has a body design that is easy to grip and perfect for mechanics and contractors since it is portable and light-weight. 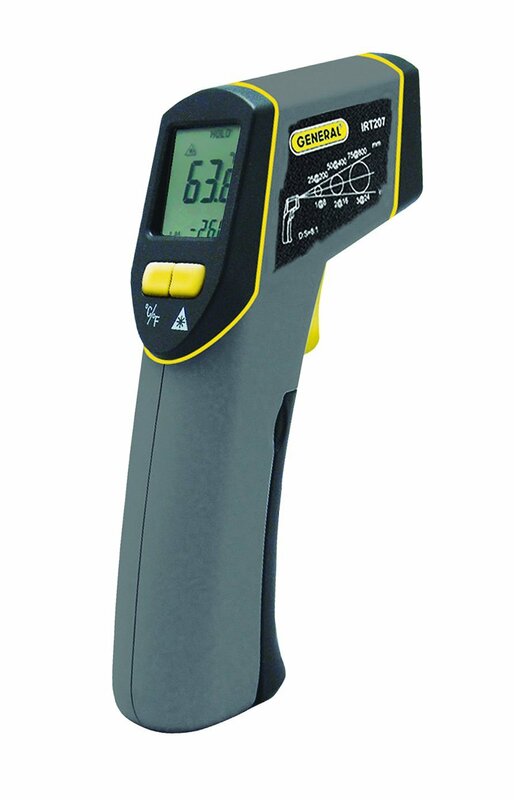 The Lasergrip 774 allows user to measure temperature levels accurately without the need to be in contact with the object being measured. This is perfect for extreme temperatures because this one comes with a temperature measurement range that can withstand heat. Moreover, it is easy to operate and it can be used for different applications, such as oven and electronic component temperatures. Another interesting feature of this particular thermometer is the quick conversion button that allows users to read in Fahrenheit or in Celsius without having to measure the temperature again. Also, it is designed with an LCD that can lock data for recording purposes. Built for industrial use, this reliable thermometer is also non-contact and perfect for measuring temperature levels in HVAC, automotive, mechanical and electrical systems. This model provides temperature readings in various increments and ratio with use of laser sighting. Temperature range is from -30 to +500 degrees C with an accuracy of + or – 1.5 degree C or + or – 1.5% of the reading from 0 to 500 degrees C. Durable and practical, this type is resistant to dust and water splash as it is IP54 certified. With its compact design, this model can easily be attached to the belt or tool belt. This product can be used in different applications, both residential and commercial. Designed to be used for cooking, real estate, car maintenance and electrical engineering, this Avantek thermometer provides results in a fraction of a second as well as switches from Celsius to Fahrenheit without having to repeat the temperature measurement. 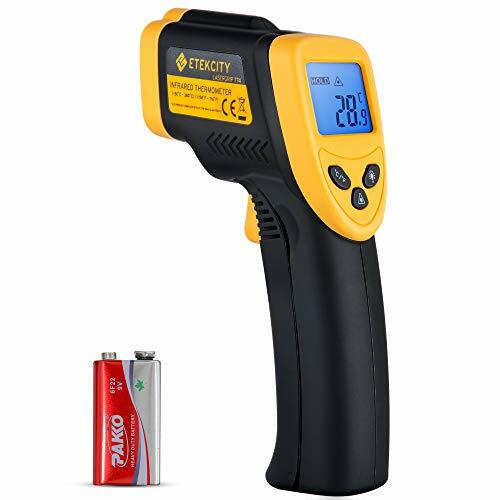 Other features of this best infrared thermometer include adjustable emissivity, powerful mode button that can store measurement data of up to 20 readings and an LCD backlight. Readable temperature ranges can reach down to -58°F (-50°C) and up to 1562°F (850°C). 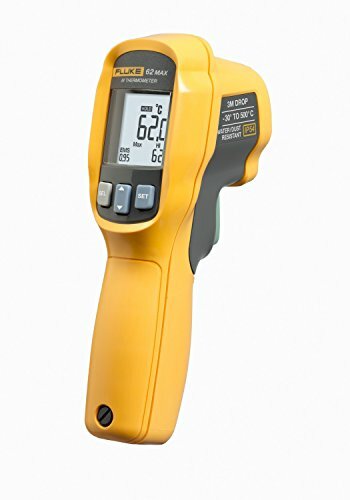 With its low cost, this model can be considered one of the best infrared thermometer picks because of its features packed in a compact body. Made with an ergonomic design, this thermometer is equipped with a backlit LCD display and gives precise temperature measurements. The readout also comes in both Fahrenheit and Celsius. Moreover, there is a sighting laser that can be turned on and off. Shopping for the best infrared thermometer can be daunting since there are many options available but by knowing the features of each model, you can get the value for your money.